Black anodised aluminium with steel fittings. With three countersunk screws to allow for the correct leveling. Recommended for use with a dot sight. 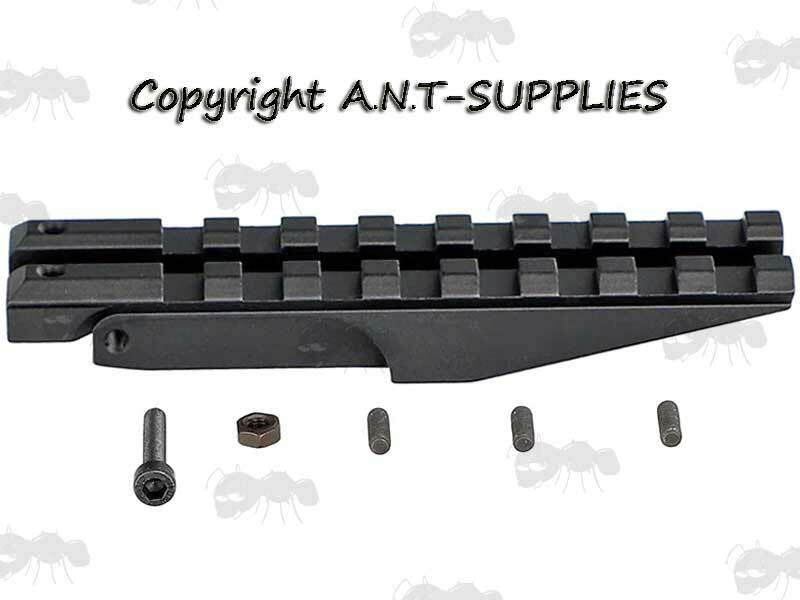 Includes white back-up rear sight markings. 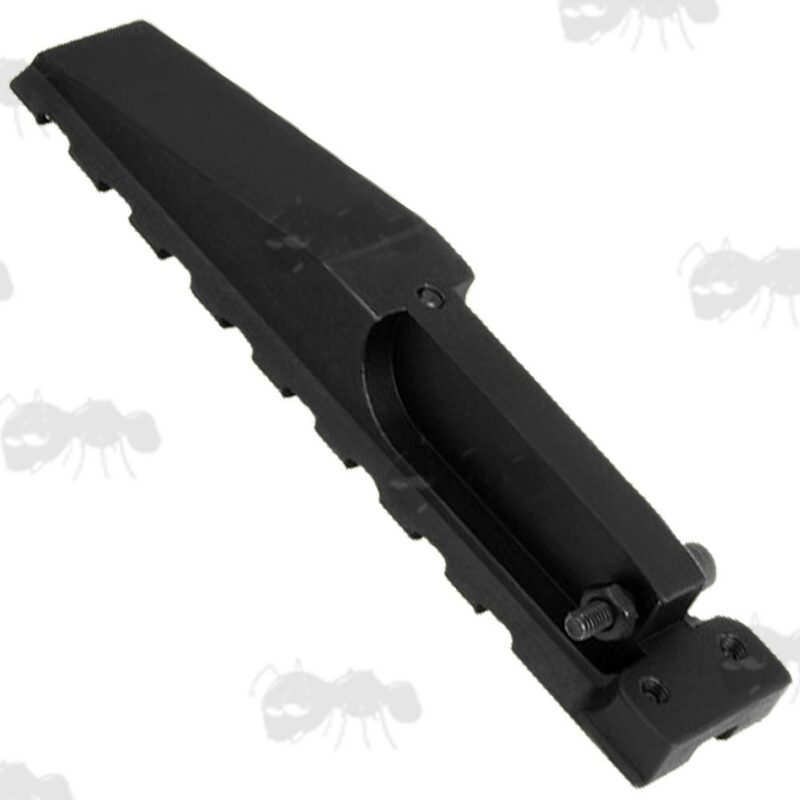 A quick and easy replacement of the leaf sight on most AEG AK's.